High-speed internet service is available to businesses and homes in and around the town of Steamboat Springs and within Routt County through multiple internet providers. Creation of a carrier neutral location where broadband demand of public and non-profit partners is aggregated and met by a competitively selected middle-mile provider, with resulting savings of 5-10X over prior internet service costs, and a redundant pathway to protect against outages. Construction in 2016-17 of the first phase of an open access network, including nine miles of 288-strand fiber optic cable and three miles of lateral connections to additional community anchor institutions. NCB anticipates offering excess capacity to private providers with the goal of improved broadband service options for residents and businesses. 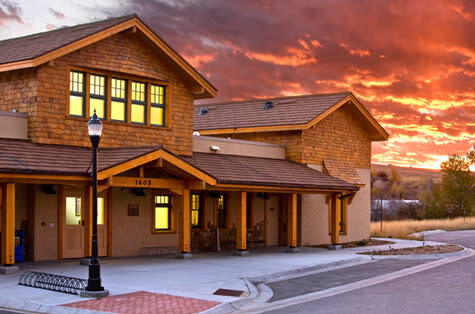 The Board of Directors of NCB includes representatives of Routt County, the City of Steamboat Springs, Steamboat Springs School District, UCHealth Yampa Valley Medical Center, Yampa Valley Electric Association, and Steamboat Springs Chamber. Professional shipping companies serve Steamboat Springs, including a local terminal for RAC Transport that can ship larger items. RAC Transport takes regular trips every business day to the Front Range and can transfer to other freight lines in Denver. Shipping also is available from regional offices of such companies at Saia Motor Freight Lines, Old Dominion Freight Line, UPS freight and FedEx freight. Yampa Valley Electric Association is a locally owned and controlled electric cooperative providing service to more than 26,000 residential, commercial and industrial members in northwest Colorado and portions of Wyoming. According to YVEA, residential electric rates are the lowest of any electric cooperative in Colorado, and the association currently includes 15 percent renewable energy sources in its power portfolio. Regional natural gas provider Atmos Energy serves all of Routt County and has a local office in Steamboat Springs. Atmos Energy has an efficiency program to assist residential and commercial customers available here.